Getting through the day without a snack is nigh on impossible, even with our great range of appetite suppressants to help you on your way. The important thing when the snacking urge comes is to keep it healthy and and nutritious, but that doesn't mean it cant taste great! 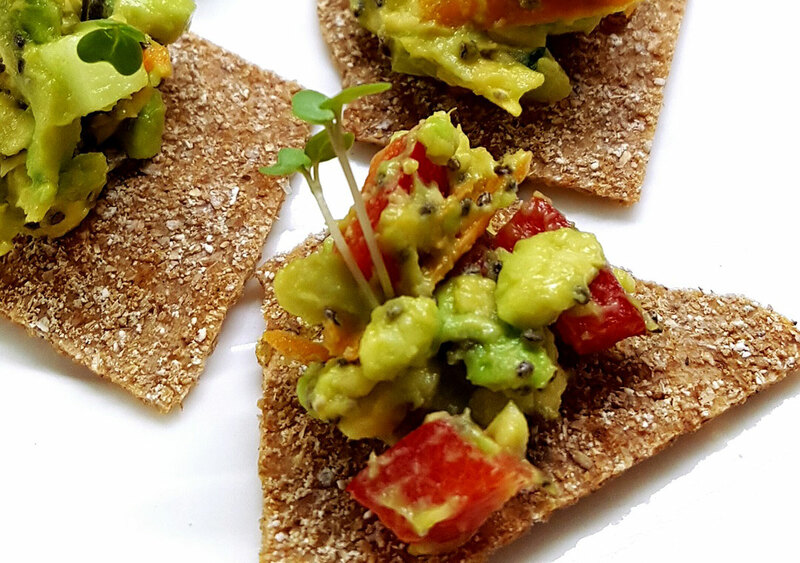 This wholegrain snack with fabulous avocado and chia seeds (among the most nutritious foods on he planet!) is both delicious, filling and healthy. Tip: You can add some cress to give your guacamole an exotic taste. Dice the cucumber and sweet peppers. Mix all together with coriander leaves. Sprinkle with some olive oil and chia seeds and enjoy with rye crisp bread.